Such is the case for Afro-Dominican poet, writer, and birth doula Ynanna Djehuty (born Carmen Mojica). Born and raised in the Bronx, New York, Djehuty didn’t start referring to herself as Afro-Dominican until she started researching her heritage at the State University of New York at New Paltz, where she studied Black Studies and Television/Radio Productions. On this journey, she realized that there was a part of herself that she hated. During her last semester in college, Djehuty took a class on Women in the Caribbean, which not only focused the racial aspects, but on the entire experience of women and how colonization has impacted their lives. After reading the article Latinegras: Desired Women – Undesirable Mothers, Daughters, Sisters and Wives by Marta Cruz-Janzen, she recognized who she is and how she feels about herself. 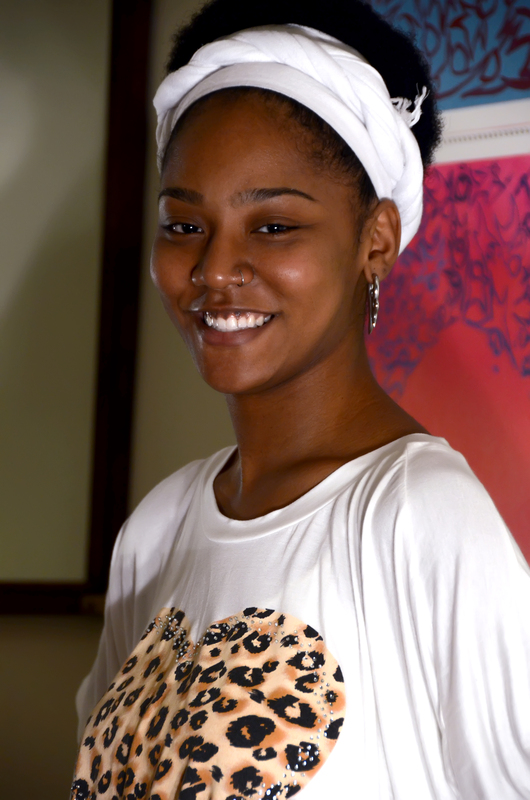 As a result, Djehuty wrote a 20-page paper on the Afro-Latina identity. One thing she discovered during her research is that there are not many voices contributing to the subject. In her second book, Odas de La Mujer de Miel, Djehuty writes poetry in Spanish, a language she has always loved and one she uses for her strongest emotions. One of the main reasons she chose to write in Spanish so her mother could better understand what she was talking about in her life. With her newfound pride in her heritage, Djehuty felt like a new person and chose to follow her African ancestors’ (her research leads her to believe her ancestors come from the Congo, Nigeria and countries in West Africa) tradition of naming ceremonies to reflect her commitment to a new life. Thus Carmen Mojica became Ynanna Djehuty, which means wisdom of the supreme intelligence. 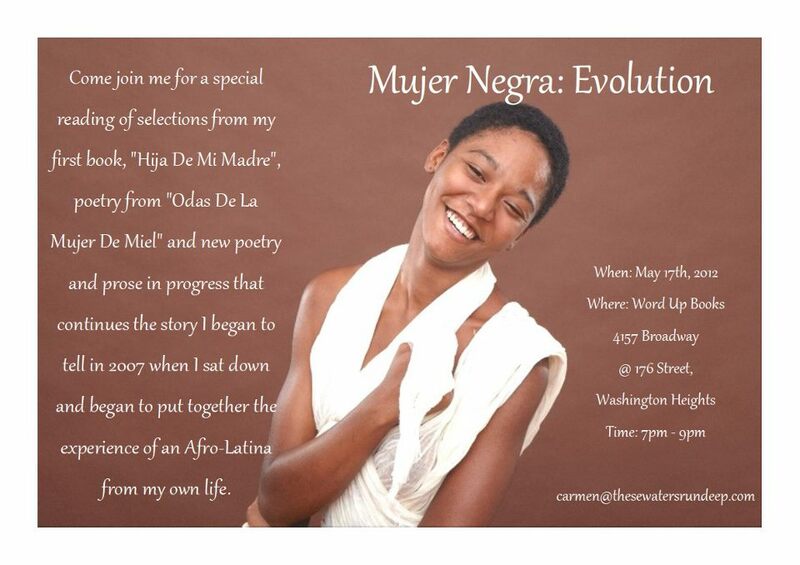 Her next projects involve becoming a certified midwife, publishing a new book of poetry, and writing a new book called Mujer Negra: Evolution, the continuation of her first book, Hija de Mi Madre. I find it ridiculous the efforts of many Afro-Latina and African-American women to establish a correlation between wearing your natural state of your hair and exposing your African identity. I take lots pride in my African and Latina identity but do not see any sense in having to encourage or discourage women to wear their hair any which way they feel like it, as long as it is not an effort to fit into a prescribed standard of beauty established by others. In telling women that wearing their our natural demonstrates that we are proud of who we are, we are establishing yet another standard of beauty for women of African descent. We are tired of having others prescribe standards of behavior and beauty. We are free!! We can do whatever we like with our hair. Wear it natural, wear it strait, dye it yellow or green if you like. We are free!!! A real problem would be thinking that there is anything wrong with our tight curls or the color of our skin. If this is why you feel obligated to straighten your hair then you have a problem. The truth is that we are indeed beautiful and anything that we choose as far as style should be based in this understanding. So what’s next? Are we to tell women of African descent that we must not shave our legs or underarms, and should not trim their eyebrows or color our hair, or even shave it if all off if we want to? Real pride of our African heritage is liberating. What we should stress is that there is nothing wrong or ugly about us. If we can internalize that, all those other things will truly be a matter of esthetics and style and not a matter of conforming to anyone’s standard. After all, are women of African descent who decide to wear our high curls but dye our hair yellow any different to those that relax their hair but wear their natural hair color? I think we are missing the point.